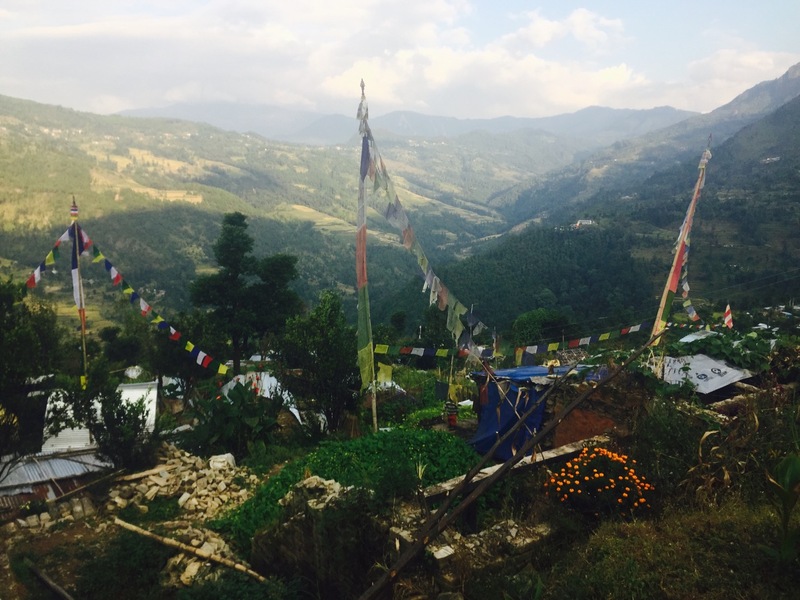 Nepal Compassion in Action: Gayatri Fund Update - Here are some pictures from Manose's trip to Nepal in November, where he and a group of volunteers worked on projects to support the survivors of the devasting quake that struck last April. If you would like to contribute to the Gayatri Funds ongoing restoration projects, click here: https://www.gofundme.com/Gayatri-Fund. 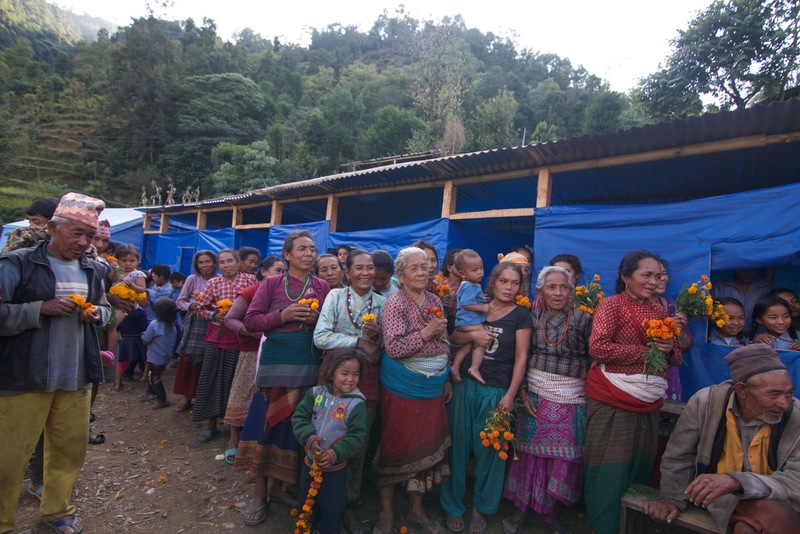 Initially after the quake, more than $21K was spent on tents and tarps, food, oil and other immediate needs. 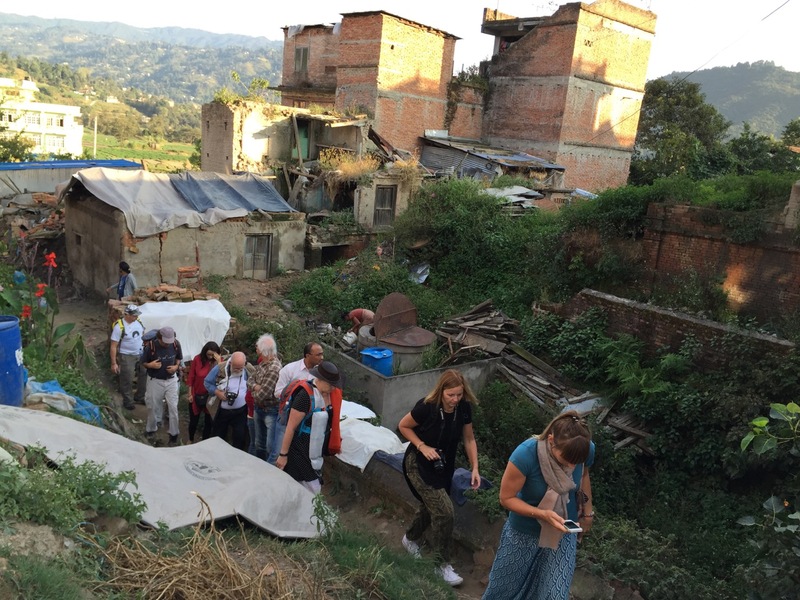 Now the team is looking toward meeting the more long term needs of the quake survivors. With this in mind, they decided to focus on Rathankot, a village in a hard-hit rural district. Despite India's embargo on gasoline exports to Nepal, Manose and team made it out to the village. Though they have lost almost everything, Rathankot villagers greeted us with flowers and smiles. 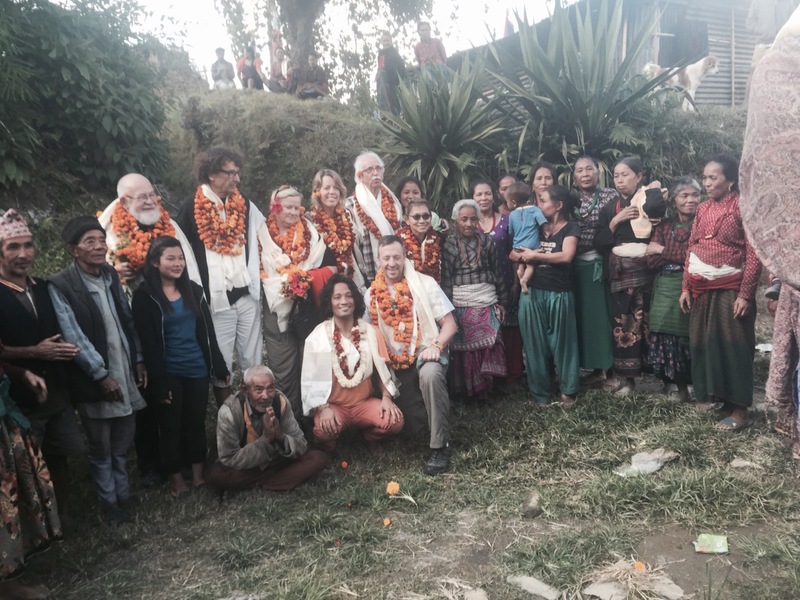 Enthusiastic meetings with the villagers ended in a decision to help rebuild the local school. Instead of simply paying for the work to be done, a core of people from the village will be trained in earthquake-safe, economical, and environmentally friendly building techniques (probably earth-bag or caged stone) and then do the construction themselves using local materials. 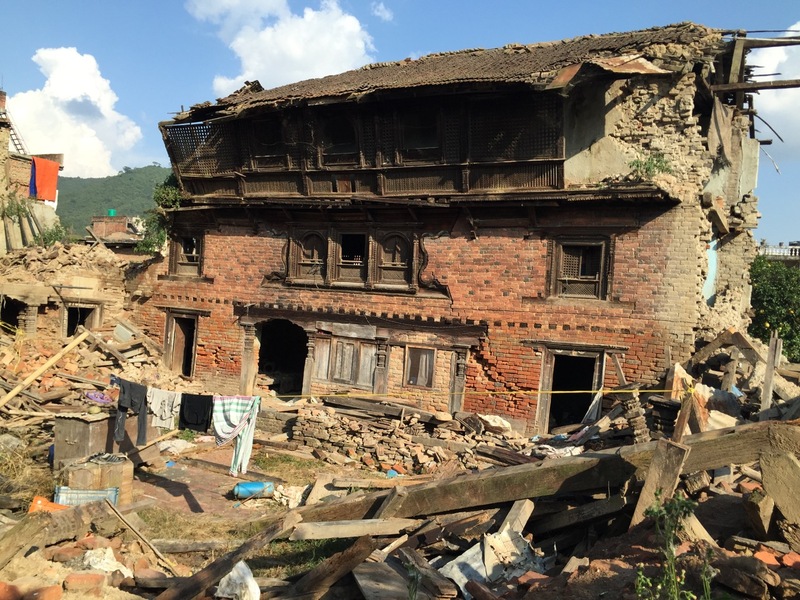 Shakhu, the oldest town in Kathmandu valley, where Manose's grandfather was born, was also devastated by the quake. 117 people died there and many buildings were destroyed or damaged. After visiting the town, the team is pursuing restoration of the tradition spring that provides water to residents. The team also visited the school for orphans and street children that member Eva Homberg Tedert has been supporting in Kathmandu through her NGO. Everyone was very inspired by her extraordinary work and determined to support her in making a difference in the lives of these children.Overall, the main obstacle Manose and his team encountered to Nepal's recovery is the severe shortage or basic needs, including gas as well as medicines, and cooking fuel caused by India's "blockade" and by political instability. Still, everyone felt that there is great potential to do good and that now is the time to act.